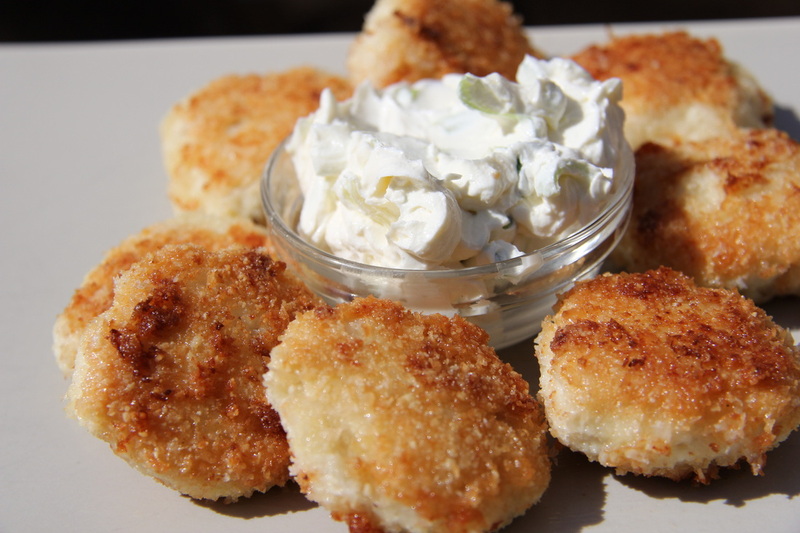 Steer clear of trans fats and fast food places, make your own chicken nuggets! This way you know exactly what goes into the chicken nuggets and what part of the chicken they are from. They are easy to make and the husband happily munched a batch of these. I coated these with coconut but you could also add any spices that you have to hand. Don’t be shy, spice it up! I bought chicken breasts then ground them in my food processor. You could just as easily buy minced (or ground) chicken from your butcher/supermarket. In a shallow bowl, mix the 1/4 cup almond flour and dessicated coconut. Season to taste. In another bowl, mix the chicken, 1/2 cup almond flour, dried onion, garlic powder, egg yolk and mix thoroughly. Make small balls from the chicken mixture and then coat them in the almond/coconut mixture. Place the chicken nuggets in the frying pan and cook until golden brown on all sides. This entry was posted on 06/02/2012 by glutenfreeuae in Cooking, Recipes and tagged chicken, coconut, gluten free, glutenfree, low carb.